Amazon has recently released their plan to pick up a new comedy series to add to their already-extensive lineup. 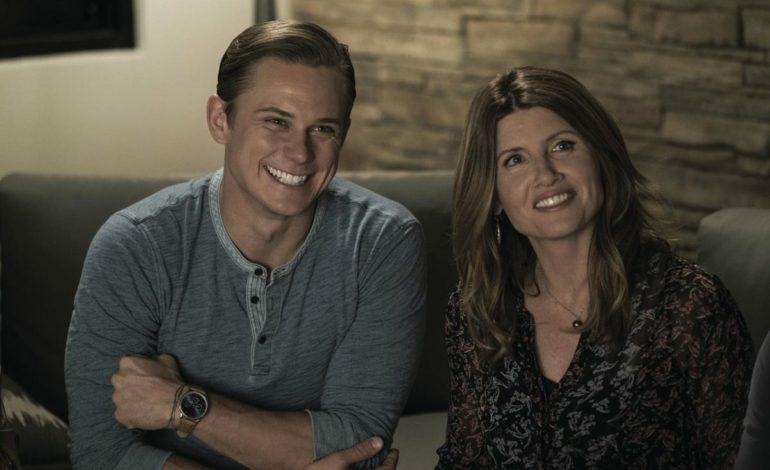 Their newest addition, which has yet to be titled, is slated to star experienced Amazon actress Sharon Horgan, alongside Billy Magnussen. The show will center on a woman who, in her romantic and financial despair, conspires to helm her own self-help business to assist others with their problems. She then decides to take on a handsome male figure (Magnussen) to give the company its favorable “look”, which could, in return, help with profits. This project will not be the first in which Horgan and Magnussen will star together, as the pair also teamed up in the 2018 film Game Night. Their two characters, which often shared back-and-forth quandering and experienced many high and low moments throughout one crazy night, must have had an on-screen chemistry that appealed to Amazon’s casting directors, and has also led to assumptions from future viewers of the show that the duo will perform well together before the actual release of the series. Sharon Horgan has worked with Amazon in the past, having starred in the sitcom Catastrophe on the streaming platform. The series, which ran for three seasons, placed Horgan and her on-screen lover (Rob Delaney) in an awkward position when their characters are forced to consider their week-long relationship seriously after learning that they are expecting. Although the show only aired for 24 total episodes, it was a critical success, being nominated for two Emmys and receiving a 100% fresh score on Rotten Tomatoes. Horgan also stared in another three-season series known as Pulling, which aired on Showtime. In addition to Horgan’s acting roles, she has also repeatedly worked behind the camera on her projects, creating an even tighter bond between her and each of her final results. Like her time executive producing on Catastrophe and Pulling, Horgan will be wearing this hat once again while working on her newest Amazon assignment. Alongside Horgan in the project will be actor Billy Magnussen, who has been in several exciting projects within the past few years. Having a career-spark after 2014’s Into the Woods, Magnussen has continued to act in movies as well as TV. In addition to his notable appearance in a two-episode stint on Unbreakable Kimmy Schmidt, Magnussen is also set to star in 10 episodes of both Tell Me a Story on CBS and Netflix’s Maniac. There has yet to be an official announcement regarding the premiere of this Amazon series.